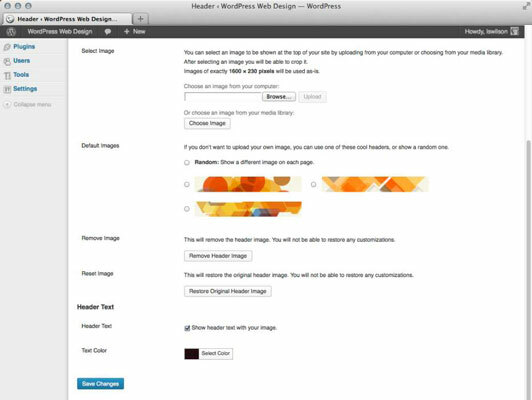 On the WordPress Dashboard, choose Appearance→Header. The Custom Header page loads in your browser window. Scroll to the Select Image section and click the Browse button. A dialog box pops up asking you to select an image from your computer’s hard drive. Select the image you want to use from your local computer, click the Open button, and then click the Upload button. 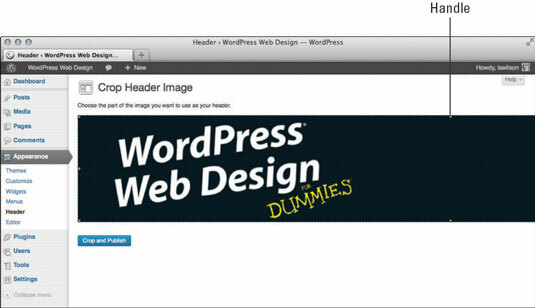 Use the image crop tool on the Crop Header Image page to resize your header image. The Twenty Thirteen theme’s default header size is 1600 x 230 pixels. Generally, it’s best to upload a new header image already cropped in an image-editing program to that exact size. However, if your image is larger, you can use the built-in image crop tool to fit the image in the default space after you upload the header. Click the Crop and Publish button. Click the Save Changes button. 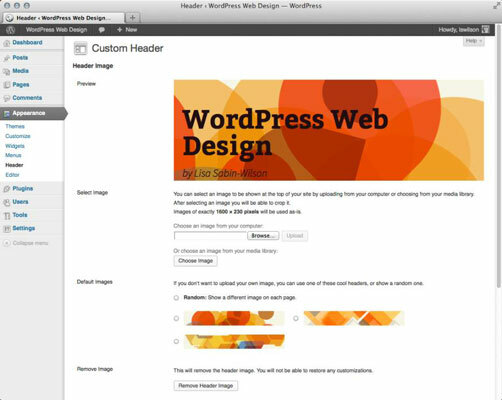 The Custom Header page loads on the Dashboard and displays your new header image. 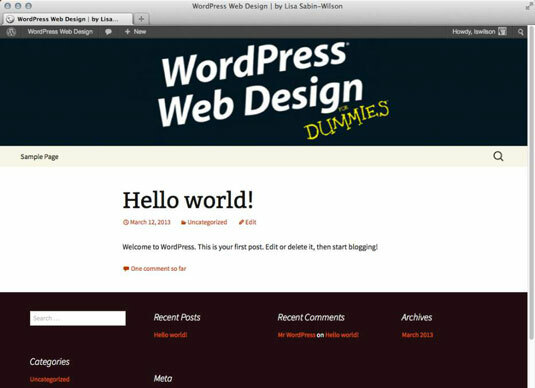 The changes you’ve made are saved to the header image, and it publishes to your site.